After nearly 3 years of various testing we are excited to offer these arms for the FR-S, BRZ, GT 86 platform...we are gonna call it FBRS for short. 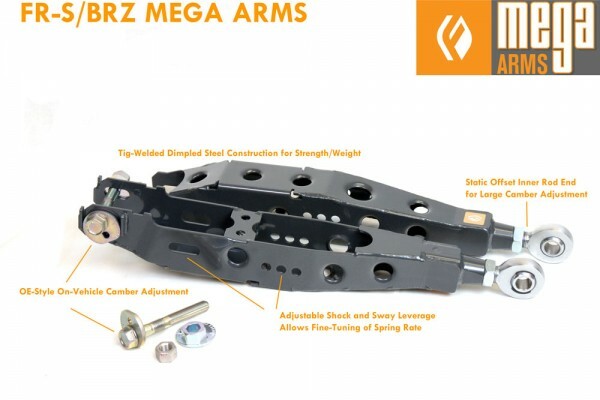 We know that there are many other companies making similar arms so what makes ours better? We took the time to add the same features as our popular Lexus arms like slotted shock mount and adjustable endlink mounts plus the correct location for camber adjustment, the outside mount. Other products will adjust from the inboard side which causes in direct changes in the shock mount and sway endlink mount, we do it the right way in order to provide max adjustment. Plus they are made in the USA! TIG Welded with interlocking tab construction. Dimpled High -Strength steel for high G applications, full cross-braced. FIGS FXM MOTO rod end standard, heavy 3/4" shank rod end for additional shock load resistance. Approx 4.25 lbs which is only .5 lbs heavy than stock while being twice the material thickness. Swing weight is nearly identical to OE arms. The is the leverage weight when deducting the inner mount weight. Slotted shock mount for leverage adjustment (effective spring rate) which also provides slight adjustable height. 3-position sway bar endlink mounting options for varying sway bar influence. Comes standard with our Pearl Steel Grey powdercoat. 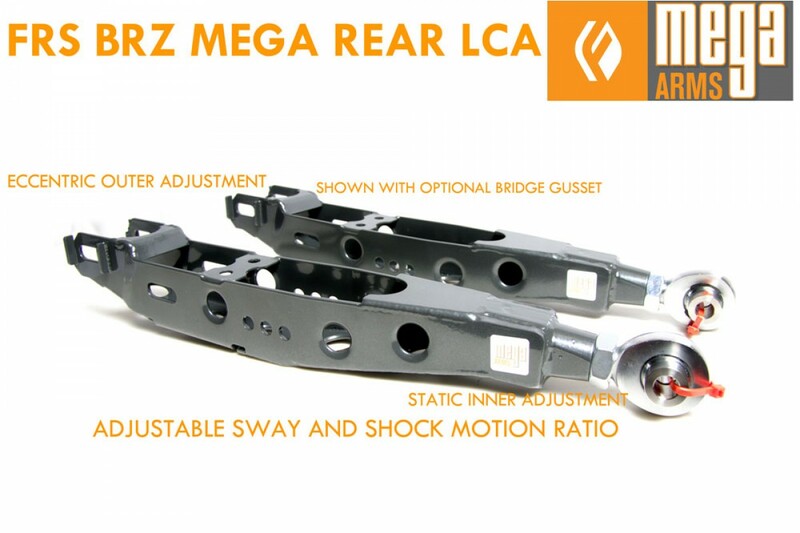 Combine with Toe links and Trailing arms for the ultimate track or drift platform.